This is the oldest and biggest fair that always held annually for a whole month to celebrate Jakarta Anniversary. The first Jakarta Fair was held in 1968, so, this year we are celebrating the 50th anniversary of Jakarta Fair, which is held from June 8 to July 16, 2017 at JIExpo Kemayoran. Many companies participate in this fair. They use it to introduce and promote their products. 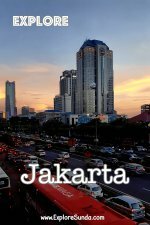 Often we can get good deals when buying products during Jakarta Fair. Government and provincial states provides information about their regions. For example, investment opportunities, the competitive advantages as well as their best products from their regions. This year more than 2,500 entities participate in this fair. 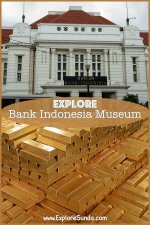 Nowadays Jakarta Fair is not only about companies and products to be promoted. There are more than 500 live events during the whole month fair, such as live music from famous singers and bands, lion dance performance, carnival, fireworks and many more. 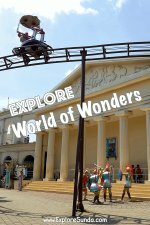 Then let's have fun in Taman Pelangi (Rainbow Garden), where we can ride bicycles, becak, train, segway, scooter, and row a boat, jump all you want in Wahana Trampolin, got spooky in Bloody House and Rumah Hantu (Ghost/Haunted House), or watch 9D cinema. However, additional tickets apply for these rides. Jakarta Fair also held some competitions, such as Miss Jakarta Fair, JFK insta contest, and jingle cover contest. 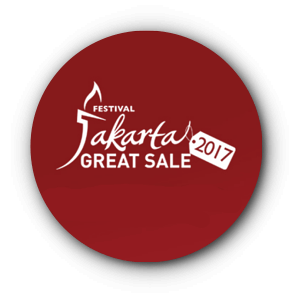 Festival Jakarta Great Sale is a shopping event supported by many shopping malls, trade centers as well as traditional markets from all over Jakarta. It is held annually to celebrate Jakarta anniversary. This year several hotels also participate by offering discounts on rooms and dining. This year FJGS starts from June 2 to July 12, 2017. Eighty shopping malls including trade centers and forty traditional markets participate in 2017 FJGS. Usually every shopping mall that participate in FJGS offers store wide discounts, deep discounts up to 70% and a midnight sale. 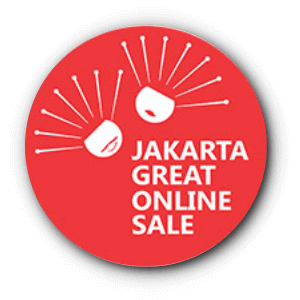 The newest shopping event to celebrate Jakarta anniversary is Jakarta Great Online Sale. This year it will be held from June 15 to June 22, 2017. This year more than 150 e-commerce and marketplace participants join this event and they will offer up to 95% discount!